The PERFECT gift for a working new mom! 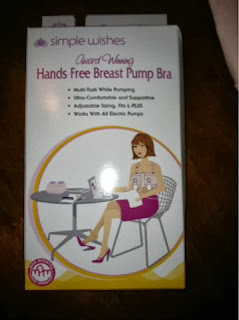 Simple Wishes Hands Free Breast Pump Bras is the softest and most versatile pumping bra we have ever used! The straps and adjustable bands allow this product to fit ANY size mom! Checkout these photos of the product we love! Photo shows how bra comes out of the box. 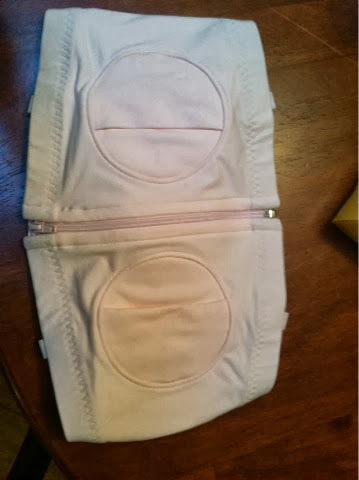 There ares stickers indicating which areas are adjustable and how far they let you grow or shrink into your bra. Straps are provided to wear as a tank or undershirt too! The stickers are such a smart idea and aren't hard to understand. PLUS, its not like a piece of paper with "directions" in the box that you can lose. 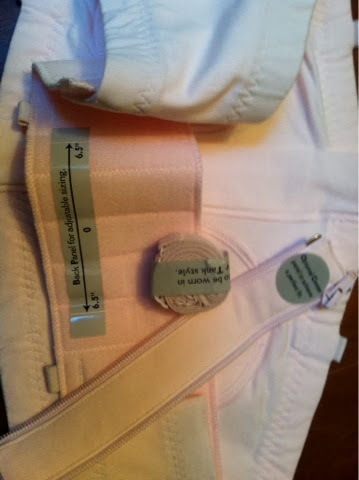 You read the quick description on the part of the bra you want to adjust and then discard the sticker. I really think this is a great use of labeling on this bra! The front has a great way to hold the "horns" (that's what I call them!) of your pump without making you uncomfortable. The front zipper (in the middle here) is easy to slide up and down before and after sessions. Plus, like I mentioned before, the fabric is SO soft and comfortable. I loved the detail in the sewing to make my pumping session a little more relaxed. Pictured above is the Pink color in size L-Plus. If you have a smaller frame and bust, you can get the smaller size. They have pink or black in two adjustable sizes. It's super easy to get your own by shopping on their website! The bra is moderately priced comparing to others in it's category.